Christine read Modern History at Oxford and trained as a professional Archivist. She was appointed as the first Archivist at Holkham in 1985. This entailed sorting and listing tens of thousands of documents which were transferred to newly-established archive rooms from the estate strong-room, chests & cupboards, outbuildings, cellars and even an old game larder. In 2016 she published ‘Holkham: the Social, Architectural & Landscape History of a Great English Country House’ . 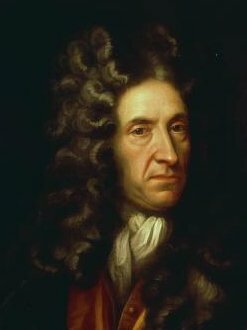 Daniel Defoe’s Tour of the Eastern Counties in 1722: An 18th Century writer’s view of the region. After a twenty-year career in the Foreign Office, Sarah returned to her native Suffolk to reinvent herself as a self-employed local historian and writer. She writes on local history in a number of magazines. To date she has written five local history books including “The Little History of Suffolk” which will be published by The History Press in October 2018. As a result of the success of these books, Sarah now has contracts for two more books on different aspects of East Anglian local history. In her talk, Sarah will explore Daniel Defoe’s written account of his 1722 tour of the Eastern Counties, which highlights rural and maritime life in the region shortly before the creep of industrialisation. East Anglia is pre-eminent in Europe in both the quality and quantity of its surviving late-medieval painted wooden church screens, and Norfolk is the county with the finest painted examples. This mainly takes the form of rood or chancel screens, which are termed rood screens because the great rood or Crucifix of the church was placed on or over them originally. Dr Lucy Wrapson from the Hamilton Kerr Institute, Fitzwilliam Museum, University of Cambridge has examined over 500 late-medieval screens in East Anglia and has uncovered connections between surviving screens, both of carpentry and painting workshops. She will talk about her methods, her findings and about Norfolk’s screens in particular, looking at them in a regional and national context. Search BAHS website including forum topics but not replies. Pdfs not included in search. See website tips for guidance on website especially using the advanced Google search for just searching this website (including pdfs).